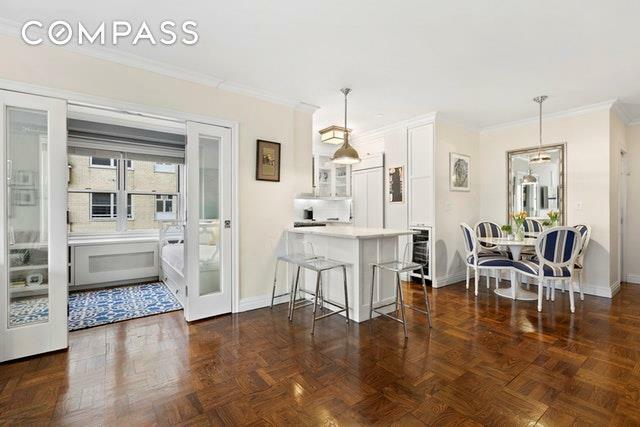 Move right in to this oversized Junior 4 situated on the Gold Coast of Greenwich Village's white glove cooperative, The Brevoort East. Enter through a proper foyer to an open & windowed kitchen complete with a marble island, top-of-the-line appliances including Viking and Subzero, a wine refrigerator & beautiful white dove custom cabinetry accented with chrome hardware and lighting fixtures. Off the kitchen is a perfectly carved out dining alcove. The large, sunny eastern facing great room has two living enhancements:An enclosed southeastern facing terrace/sunroom (can be changed back to a completely open terrace) and the second, a southern facing office/den/ or children's' room. 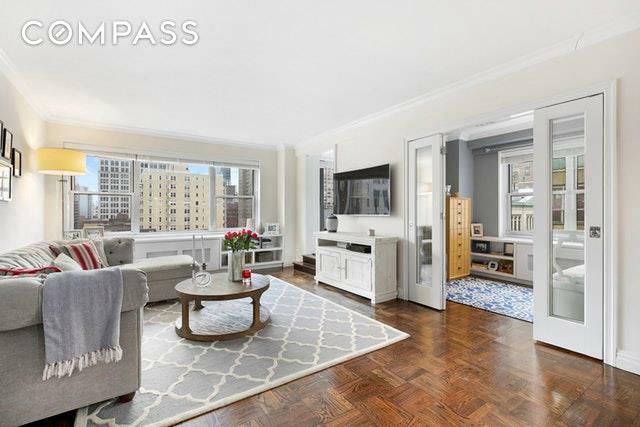 The large scaled bedroom is sun drenched with open eastern views and has a large walk-in fitted closet, updated HVAC system and brand new beautiful custom window treatments. The fully renovated bathroom has classic tiles and fixtures. Large and fitted closets throughout and a flexible floor plan make this a must see home. 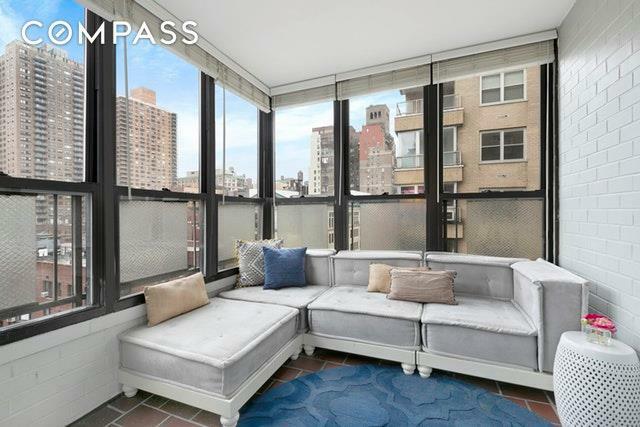 The Brevoort East is one of the most sought after full service buildings in the heart of Greenwich Village, known for its hotel like services. 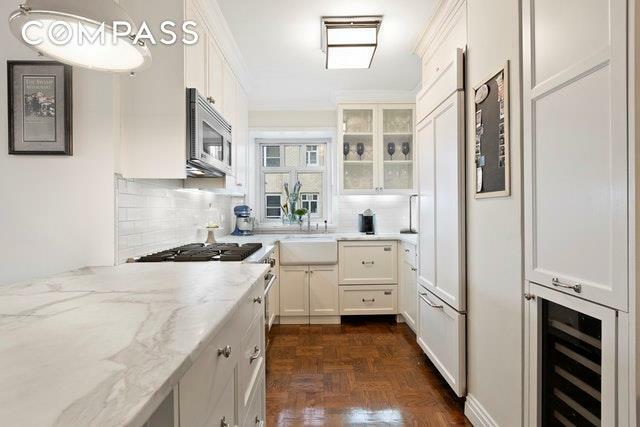 It is close to every major subway line, crosstown buses, Whole Foods, Trader Joes, Gristedes and all of the best in fine dining and shopping. The building offers a 24 hour doorman, concierge, state of the art brand new gym, playroom, bike room, storage, refrigerator/freezer storage for grocery deliveries, live in super, on-site building parking, on-site managing agent, grand lobby, an amazing roof deck with WiFi. Excellent financials. Listing courtesy of Laurie Karpowich of Compass.